« Stepfamily Detours – Where Are You Headed? 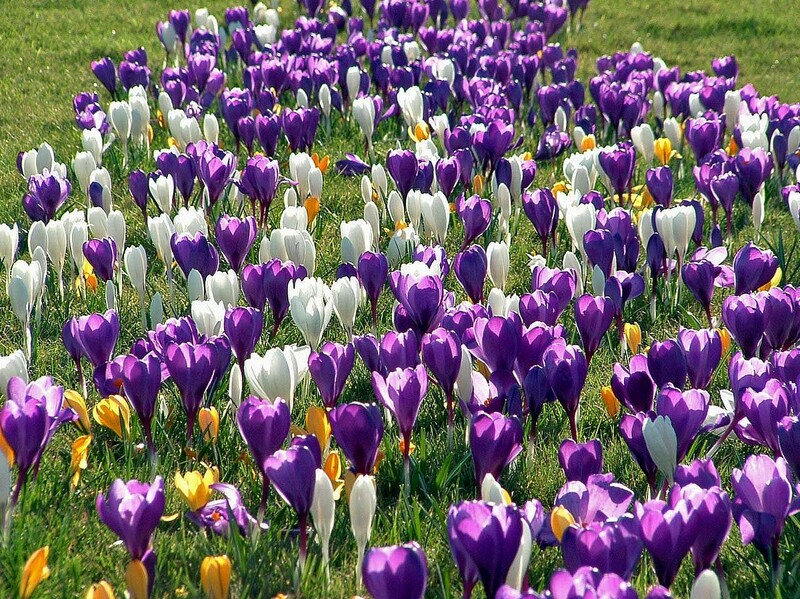 Crocuses are in full bloom in the state of AR and it is a beautiful sight. Although the temperature is still cool outside, it’s a great reminder that Spring is around the corner and the harsh days of winter will be behind us. As I gazed at our crocuses with a heavy heart this week-end, I was reminded that there’s beauty following the pain of my husband’s job loss. I know there are better days ahead and that hope sustains me during our period of uncertainty. I’ve also seen the beauty that follows the pain of stepfamily trials. As my youngest son turned ten years old this month, I was reminded of the challenges we faced with my stepson at this age. As he headed toward his adolescent years, my stepson became rebellious and aggressive toward me. I could do nothing right in his eyes and I was constantly criticized and berated. My husband and I sought counseling with my stepson to determine the root of his anger but simply uncovered selfish and defiant behavior. He refused to acknowledge his part of the relationship and how he was contributing to the volatile situation. After two years of unresolved conflict, he looked for greener grass by moving to live with his mom in another state. Unfortunately, his mom was diagnosed with colon cancer the year he moved there and she valiantly fought the disease a little more than a year before passing on. The loss contributed to my stepson’s anger but through counseling with hospice services after his mom’s death, he began to sort through some of his hurt and anger. My stepson returned to live with us and complete his last three years of high school. Our relationship was mended as he grew and matured, allowing me a place in his heart. He still struggles with loyalty feelings toward his mom that prevent him from completing embracing a relationship with me, but the rebellious, aggressive behavior is no longer part of our interaction. It’s easy to focus on the struggles in the midst of a trial and think they will never end, but just as we see the beauty of the crocus after a long, hard winter, we will also see the beauty of refreshment after hardship. Are you experiencing stepfamily heartache? Will you look toward the beauty that will follow the pain? Looking for Hope on Your Stepfamily Journey? My oldest stepson is on an aircraft carrier, deployed with the US Navy. The ship will be returning within the next month, and the sailors were allowed to invite family members to join them for a family cruise on the last leg of the journey back to their home port.My stepson invited his birth mother.I know my husband will find out eventually, but I don't think I can be the one to tell him.There is no rift that we are aware of. My husband is not the one who left the marriage; he's the one who kept all nine kids together and finished raising them after she walked out fifteen years ago. He has a good relationship with all his kids, but for some reason, in situations like this, they always seem to choose her.How many times can a heart break? Sue, I'm so sorry to hear of this situation. How do we make sense out of what our kids do? How heartbreaking for your husband. God will bless him for his sacrifices and contributions to his family, even if his kids don't see it. "Let us not become weary in doing good, for at the proper time we will reap a harvest if we do not give up." Gal. 6:9Comfort your husband when he finds out. When my kids or stepkids reject me, if my husband stands beside me, I can get through it. God bless you for your attentive spirit to your family. Keep me posted.